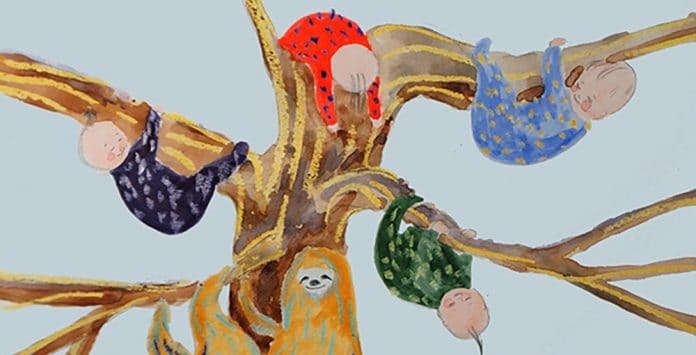 The best known lullaby in the English language, Rock-a-Bye Baby, is probably the first song that your child will learn to sing, and (hopefully) to put themselves to sleep. Here are the lyrics for Rock-A-Bye Baby, though you may already know them all too well. So for those more eclectic parents, we’ve included some additional verses below. Because who knew the lines about thy cradle is green and thy mother is queen? 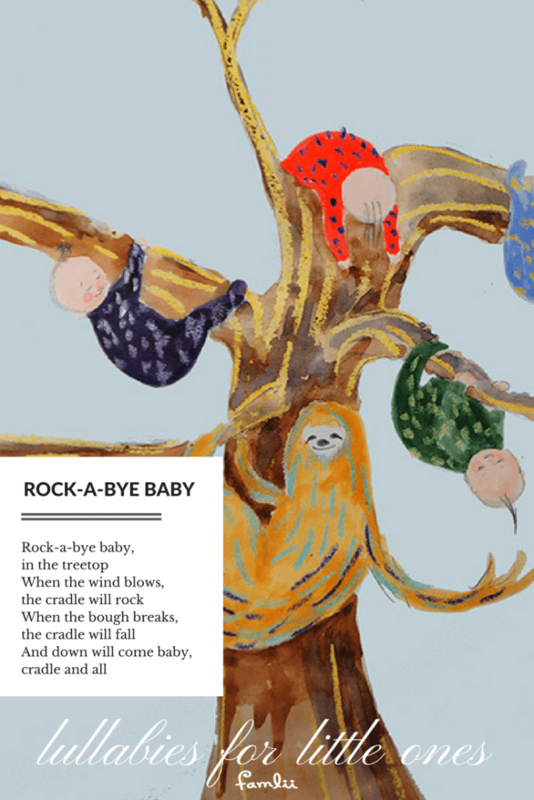 Click to download a black and white pdf printable of Rock-a-bye Baby Lyrics. The song first appeared in 1765 in a collection of Mother Goose Nursery rhymes, originally titled Hush a Bye. While most lullabies have undergone countless changes and renditions over time, Rockabye is one of the few nursery songs to be little changed over literally hundreds of years. Legend has it that the song originated from the traditional of hanging a cradle from a tree, gently swaying in the wind. Alas, yes, there was a high risk the bough could break, but of course, this was well-before modern consumer safety standards!